They have been around overseas for a while, but haven’t been available in NZ for that long, so they are a relatively new toy to me. 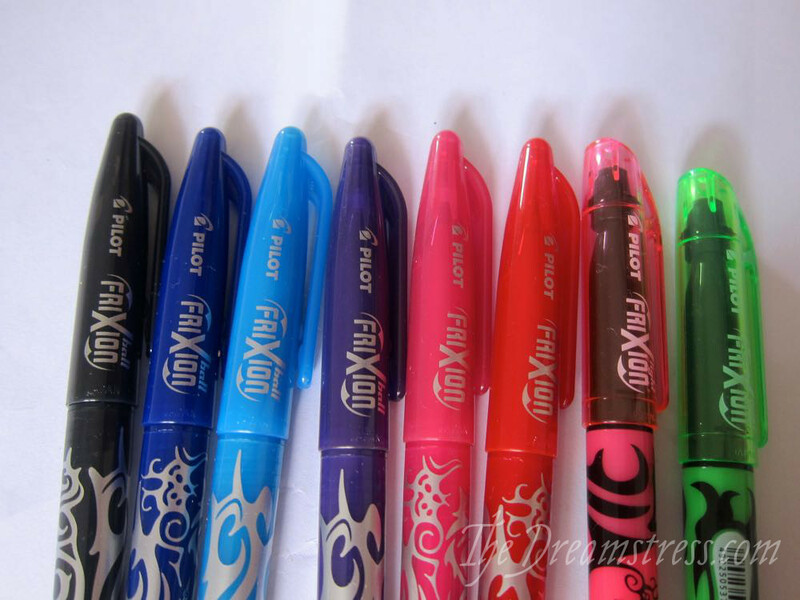 Pilot designed these as erasable pens: you can write with them, and then use the special eraser end to erase the writing with friction. Only it’s not really friction that makes the writing disappear. It’s what friction creates, which is heat. And that makes them perfect for marking fabric for sewing. 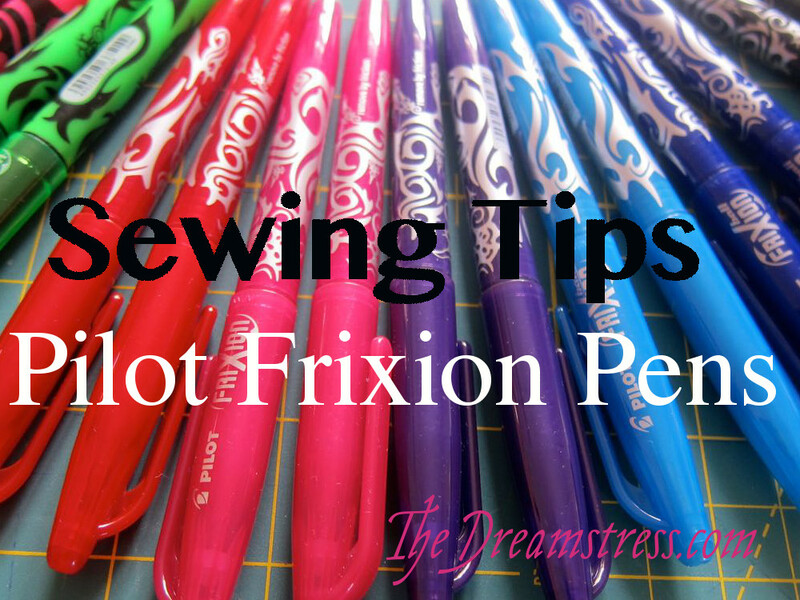 I use my pens for marking darts, pleats, notches, drawing out embroidery designs, marking dots for cartridge pleating: anywhere you want to be able to make a fine, precise line that is going to completely disappear. 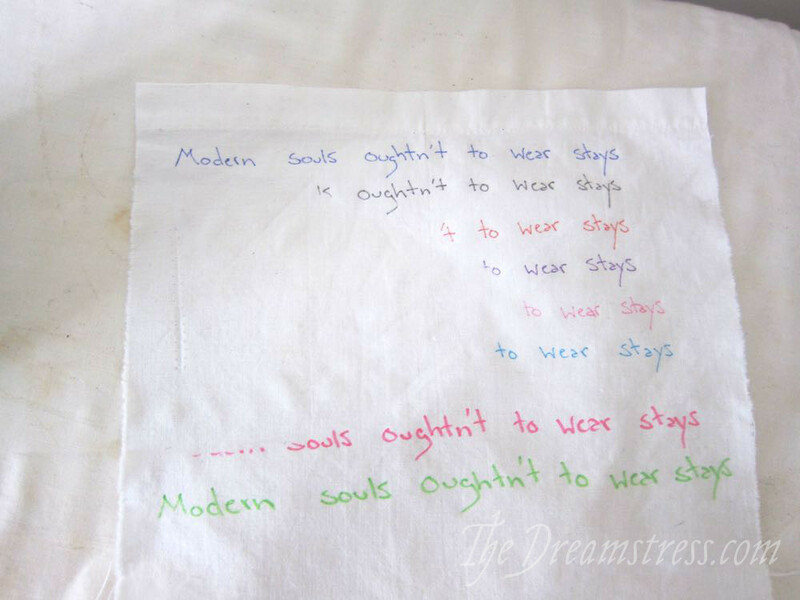 Writing all over the cloth! 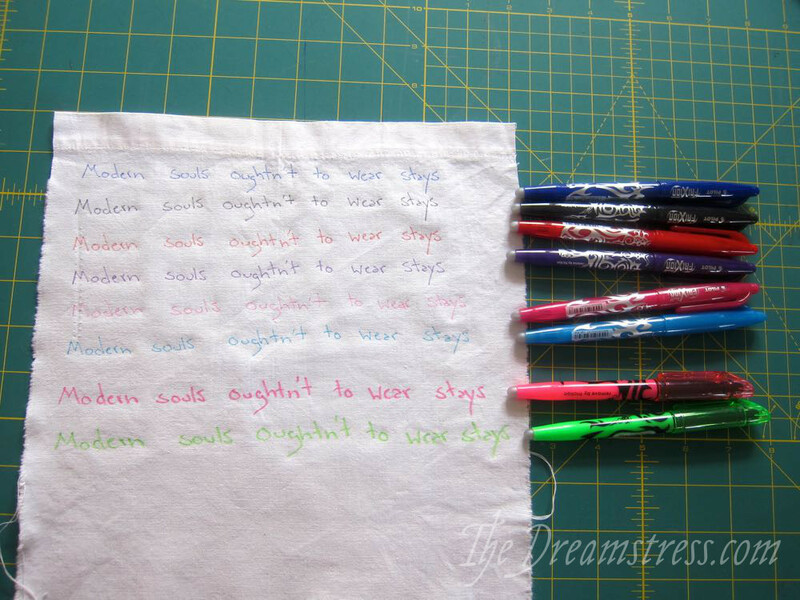 Nice, clear, precise, easily readable writing in a whole host of colours that will stand out on almost every fabric. 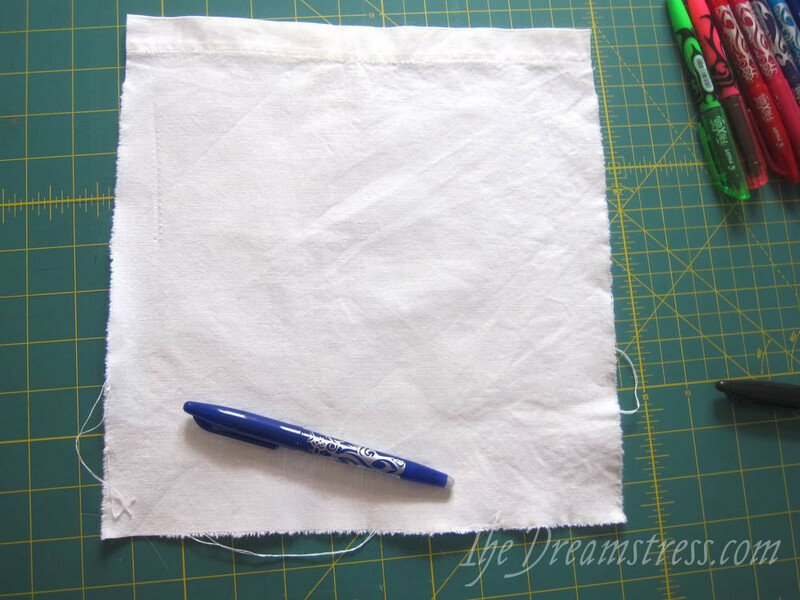 So useful as a sewist! But how to get rid of it so it doesn’t show on the finished project? Better than any chalk or fabric marking pen, and more precise and easier to use! The pens work (to break down the science in to total layman’s terms) because the heat of friction on paper, or of an iron on fabric, heats up the molecules and gets them excited and they move apart and loose the ability to reflect colour. 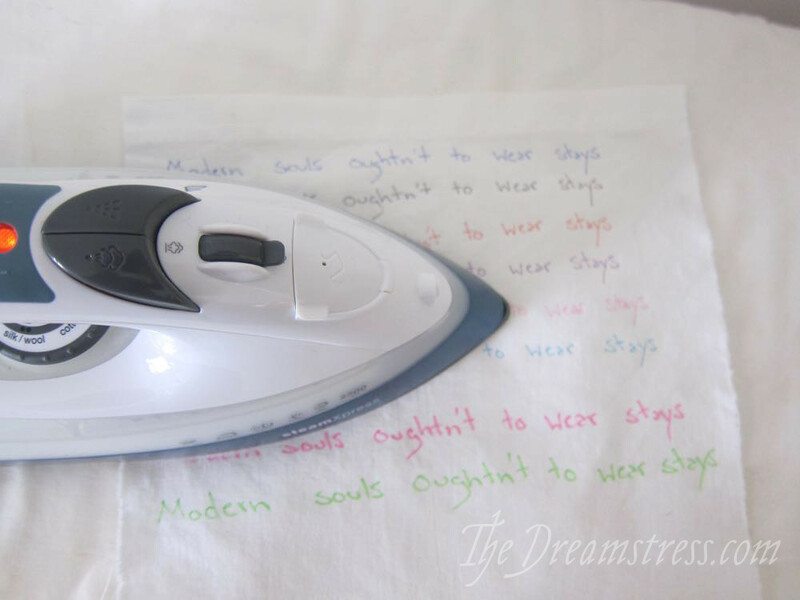 In addition to ironing, you can also make the marking disappear by washing your items in hot water. If you wash before ironing, the marks are less likely to come back when exposed to extreme cold – ironing them first almost seams to ‘set’ the marks. I LOVE these things! Of all the tools I have for marking fabric (basically, all of them) these are the easiest to use, most precise, and most versatile. Tailors chalk and chalk pencils aren’t that precise, and the chalk pencils are hard to get out. 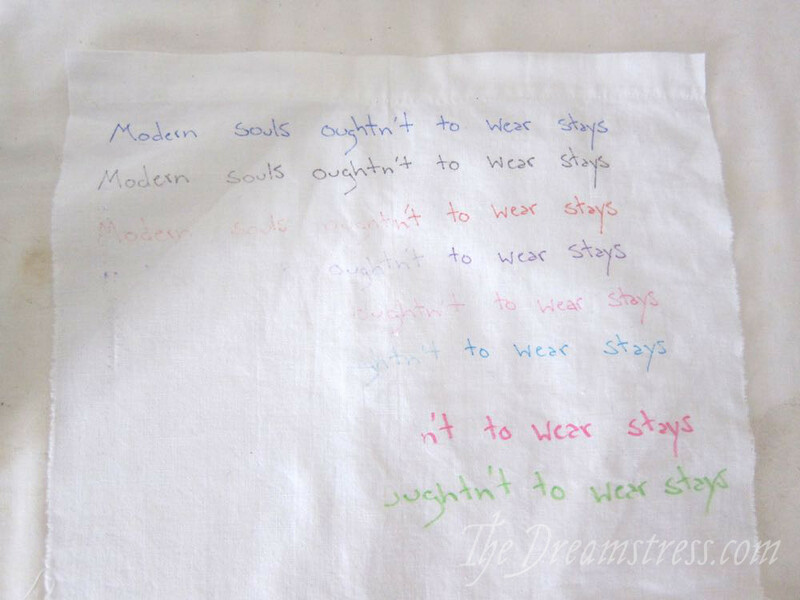 I’ve had really bad luck with the fade-away pens refusing to fade away on a variety of fabrics. Chaco chalk pens are amazing, but super expensive and don’t work for every situation. These pens are also quite reasonably priced (hence the reason I have two in every colour!). They do have the minor drawbacks of not being a suitable marker for situations where you are ironing a lot as you work but still need to be able to see the markings, and having the slight risk of reappearing on a finished item if it gets stuck in below-freezing temperatures for more than 15 minutes, but other than that they are AWESOME. There is a similar looking erasable pen available in NZ, but they don’t work. Only these ones. When I first used them, I was quite worried about some of them not disappearing, or re-appearing, and was very careful to only use them for marking notches on the selvedges and in other places where they could never show on the finished item. 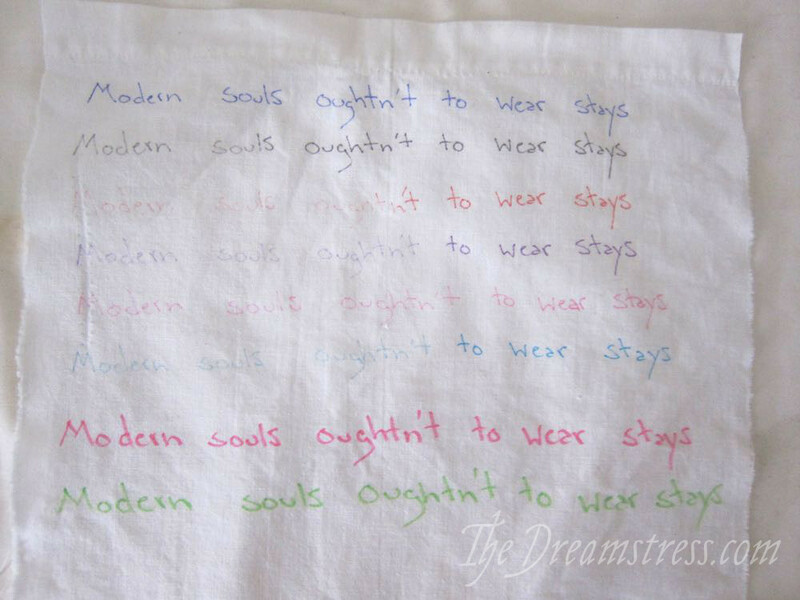 However, I’ve used them quite a bit, and have a number of students using them, and have yet to encounter a fabric or use where they refuse to disappear or do reappear (granted I rarely sew with synthetics or other super-heat sensitive fabrics). OMG! I love it, I hate pencils and chalk,but these are very awesome! I wonder how they would work in Canada when we can have -61 degrees (with the wind chill) in winter. 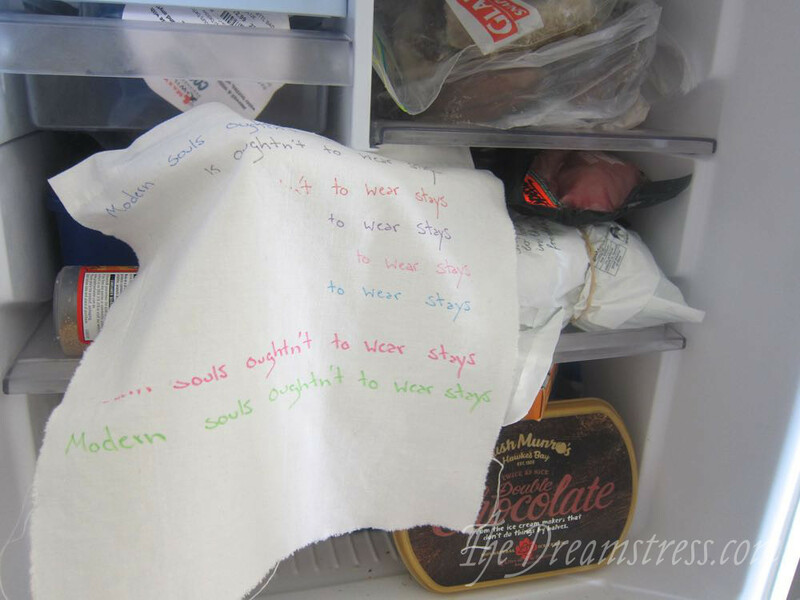 Could be a fun little thing…write a message (like I hate winter) and have it appear in the stupid cold we get! Or actually something fun to brighten the day! These pens look completely awesome! I really want to give them a try! I remember these! I used the highlighters in middle school. I might need to get myself some, I’m the worst about marking fabric. These sound wonderful. I am definitely going to need to look into them. I hate chalk pencils because you can never keep them sharp. Useful! Would washing the item in hot water remove the ink? I’m sure it would. I can’t wash in hot HOT water with my machine, but two washes in warm removes it completely. This is just so genius. My quilting tutor introduced me to these, they really are magic. 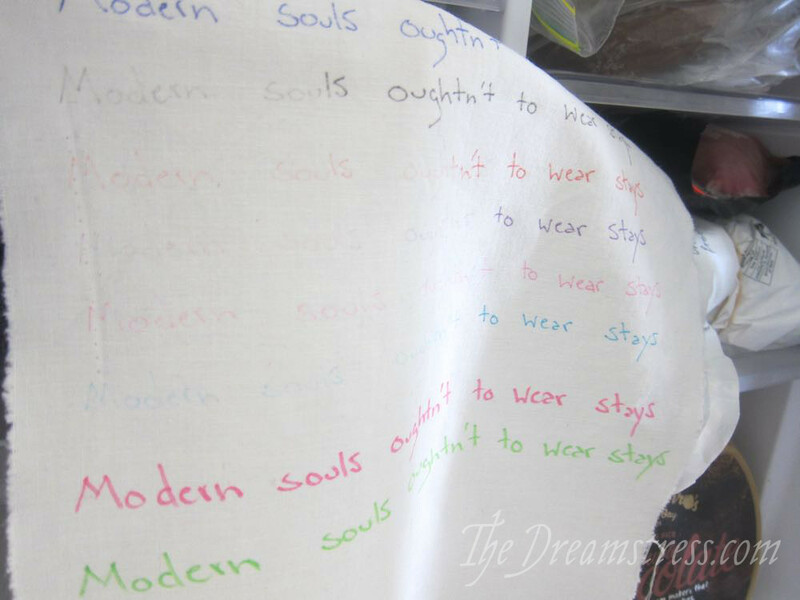 And unlike tailors chalk, they don’t pull on the fabric as you mark. I’ve already used up my first one! Wow! I use them for crosswords but never thought of fabric. What a brilliant idea. Thanks! When reading the post title I was like “What kind of cool sci-fi tool is this?” These are a really neat discovery for sewing indeed. 🙂 I had no idea they existed two minutes ago and now you have me itching to get one for myself. I fell in love with these pens about when they first came out about 5 years ago, as actual pens as I am always making mistakes and it is so good to be able to erase things – plus colours! But this extra fabulous use is fairly new info to me. Cool! I mark with these pens about 2 or 3 years. I LOVE IT!!!!! Wow. Pretty cool. When I saw the pictures I thought you would be talking about a permanent marker. But that tip is great. I’ll try to find it here. I need these pens! I was so afraid they wouldn’t have them here in Germany, but they have! Maybe I should put them on my last-minute Christmas wish list. I’ll mark all the things! I’d purchased these recently upon reading a review that mentioned their use on fabric, but then I did more research that also mentioned the ink reappearing in the cold. I was all ready to return them, but your post has convinced me they’re worth keeping. Thanks! Thank you so much for sharing your knowledge and this innovation with us! I did not know their existence until now!! Living and learning!! Oh! Thank you for sharing. I just bought from some Amazon thanks to your post. I was looking for something to draw out embroidery designs. These seem perfect! Previous PostThe Historical Sew Monthly 2016 – it’s on!